Here are all the best deals from the upcoming Harris Teeter Ad. Sales begin 4/8 and run through 4/14. In this list, you can grab FREE Birds Eye frozen vegetables, Navel oranges for 60¢ each and lots of Kraft shredded and chunk cheese are on sale B1G1. Heads up! 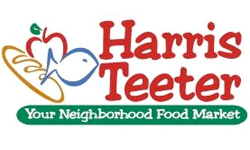 Harris Teeter has announced they are closing Nashville stores (three will becoming Kroger). Please leave a comment to share any extra deals you run across on your Harris Teeter shopping trip. Buy the specified amount to get the sale price! Hot House English Cucumbers, $1 ea.